“Queens, New York – October 20th, 2018. Photographer Ryan Loewy hosts the first competition under his new brand: Rudy New York along with the New York Skate Series and Blader Union. Literally in our backyard – Astoria Park. The first two rounds of the comp started at the plaza on two ledges angled upwards and moved to the quarter. In between there were brief intermissions for some simple ways to make quick cash: a toe roll and a cess slide contest. Afterwards we moved to the east side of the park to the last spot to skate two sketchy rails. On camera they look great… but in person it’s a different story. This is where Dave Hartnett shined and took home the win but not without taking some punishment. Chris Pullar, Julian Hinsch, and Adonis Taylor also took home some battle wounds. It was brutal but also a reminder of the risks we take in this sport/lifestyle. Speedy recovery for those guys. Still, a great turnout and what a show for the locals in the neighborhood as they gathered around the spot, or were watching from their home balconies and front steps. Shout out to everyone that showed up! Cheers!” – Butter TV. 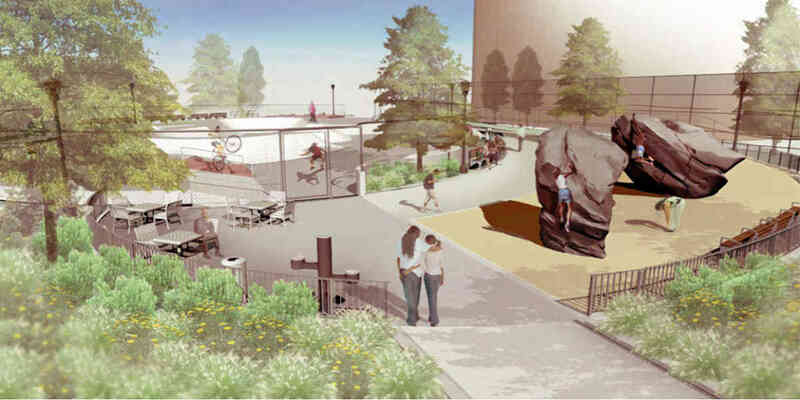 NYC’s Department of Parks and Recreation announced yesterday that they will be proceeding with building a new skatepark in Harold Ickes Playground located in the Red Hook area of Brooklyn. Although the building of the new park has been officiated, the completion date of the park is said to be in 2021 according to the Brooklyn Paper website. “New renderings show the heart of the .7–acre, asphalt park will be filled with a cornucopia of skateboarding stuff, including a bowl, two quarter pipes, and grind rails, along with other built-in components including a slappy curb, hubba ledge, manual pad, Euro gap, and twinke roller.” – Brooklyn Paper.